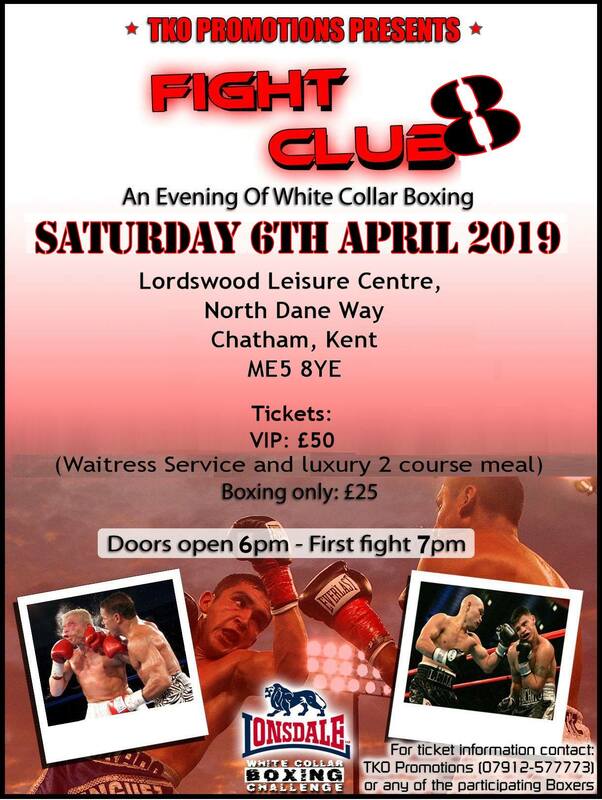 Just a few days now until FIGHT CLUB 8, our exclusive evening of White Collar Boxing and our team of Boxers are now ready for their big night. We have James Lake, Adrian Speller, Lewis Fryer, Brendan Traynor, Harry Rout and Filip Zamroczynski representing the TKO Elite gym and so if you have not got your tickets yet please grab yours ASAP as these guys are worthy of your support. Nearly all of them have never stepped into the ring before but have spent the past 8 weeks training hard and will I know do everyone proud. Contact any of the guys to get your tickets or call the gym direct on 07912577773 for more information. Lordswood Leisure Centre on Saturday night is the place to be!